The European Investment Bank (EIB) and Flexenclosure – a Swedish high tech manufacturer for the ICT industry – have signed a EUR 10 million loan agreement to support the company’s research and development activities and growth strategy. The EIB transaction with Flexenclosure was made possible by the European Fund for Strategic Investments (EFSI), which is the central pillar of the Investment Plan for Europe. It was launched by the EIB Group and the European Commission to boost the competitiveness of the European economy. Mobile telephony, connected vehicles, electronic commerce, financial transactions, the Internet of Things – they are all generating ever increasing amounts of data which need to be managed closer to the people creating and consuming it. The resulting demand for reliable network access and data management is rapidly increasing across the world and Flexenclosure, a designer and manufacturer of data centres and telecom site power systems, is extremely well-positioned to build upon this new wave of economic growth. The EFSI-backed EIB financing will support the research and development of Flexenclosure’s prefabricated modular eCentre data centres and intelligent eSite power management systems as well as its global growth strategy. The company’s systems are fully integrated, modular, factory tested for reliability and adaptable to local conditions. 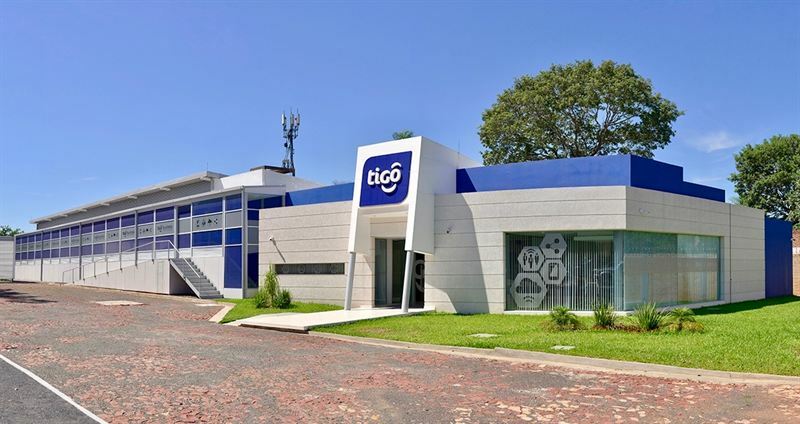 "In many countries around the world – especially developing nations – economic growth and prosperity are increasingly dependent on access to power, mobile connectivity and data management," said David King, CEO, Flexenclosure. "This loan from the EIB is not only a confirmation of our expertise in these areas but also gives us the means to explore opportunities to compete and grow in the giant new market emerging in the wake of the world’s increasing digitization." European Commission Vice-President Jyrki Katainen, responsible for Jobs, Growth, Investment and Competitiveness, said: "Flexenclosure is a European company which is bringing its innovative, disruptive technology to all the corners of the earth. I am very pleased that the Investment Plan for Europe is supporting tech companies, large and small, in a wide range of sectors." Flexenclosure provides sustainable Internet infrastructure for emerging markets – designing and manufacturing prefabricated data centres and intelligent power management systems for the ICT industry. The company provides systems that are fully integrated, modular, factory tested for reliability, adaptable to local conditions and quick to install. eSite x10 is the world’s first power system purpose-built for outdoor telecom sites and to outdoor telecom standards. It is a patented, sealed, tamper-proof unit with passive convection cooling, no filters, no moving parts and it requires no maintenance. 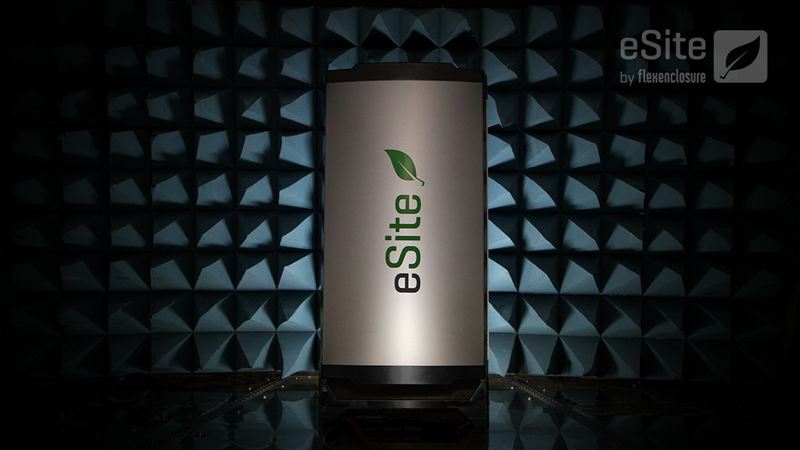 eSite x10 is the future of telecom site power. eCentre is a state-of-the art, custom-designed, prefabricated and pre-integrated data centre building that is fast to deploy, energy efficient and fully future proofed. With its flexible and easily expandable white space, eCentre enables highly capital efficient data centre deployments and has been certified up to Tier IV level. The European Investment Bank (EIB) is the long-term lending institution of the European Union owned by its Member States. It makes long-term finance available for sound investment in order to contribute towards EU policy goals. In 2016 alone, the Bank made available nearly EUR 1.7billion in loans for Swedish projects. The Investment Plan for Europe focuses on strengthening European investments to create jobs and growth. It does so by making smarter use of new and existing financial resources, removing obstacles to investment, providing visibility and technical assistance to investment projects. The Investment Plan is already showing results. The projects and agreements approved for financing under the EFSI so far are expected to mobilise EUR 252 billion in investments and support around 528,000 SMEs across all 28 Member States. On 13 September, the European Parliament and Member States came to an agreement in principle on the extension and strengthening of the EFSI. This agreement extends the EFSI's duration as well as increases its financial capacity. Find the latest EFSI figures by sector and by country here. For more info, please see the FAQs. Creating opportunities in developing countries starts with connecting people - connecting those who have been disconnected from the economy,” said EIB Vice-President Alexander Stubb, responsible for EIB operations in Northern European countries. ”Our loan to Flexenclosure will enable the company to further sustainable development in some of the remotest areas of this planet. It holds the promise of a better future, especially for young people, while, at the same time, backing EU manufacturers and the European ICT industry. In many countries around the world – especially developing nations – economic growth and prosperity are increasingly dependent on access to power, mobile connectivity and data management, said David King, CEO, Flexenclosure. This loan from the EIB is not only a confirmation of our expertise in these areas but also gives us the means to explore opportunities to compete and grow in the giant new market emerging in the wake of the world’s increasing digitization. Flexenclosure is a European company which is bringing its innovative, disruptive technology to all the corners of the earth. I am very pleased that the Investment Plan for Europe is supporting tech companies, large and small, in a wide range of sectors.